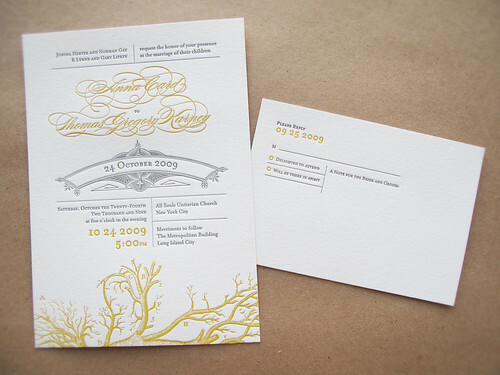 I have been waiting SO LONG to show you guys the most recent invites I designed for bride and groom, Anna & Tom. Anna came to me with a vision of apothecary inspired wedding invitations. She is also currently a medical student and was inspired by a vintage pharmaceutical labels. I was beyond excited for the opportunity to design her invitations – the direction was right up my alley. 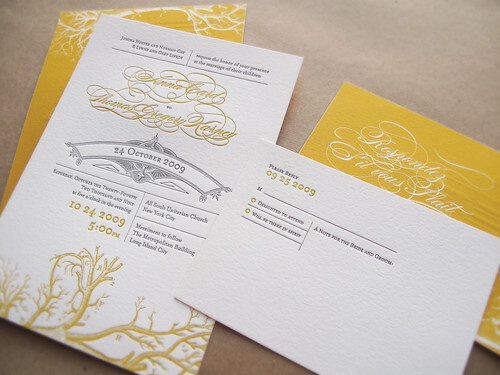 She was currently using marigold and brown as her color palette and her husband-to-be really loved the idea of letter pressed invitations. So those were the parameters I was working within. Along with using vintage prescription labels for inspiration I thumbed through an old medical book for additional imagery. I came across a vintage line drawing of veins and thought it was perfect. 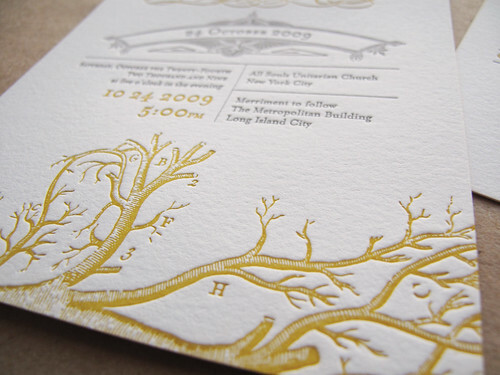 When I gave Anna a first edit of the design she loved it as well – she especially liked that the veins also translated as branches, as her fiance proposed to her under a tree. Overall, I wanted to pair organic imagery with refined and ornate elements; to balance the flourishy script typeface with a straight forward serif; to make the marigold pop by coupling it with a sophisticated grey. 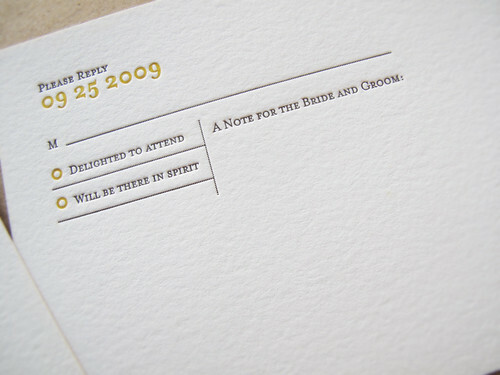 I especially wanted to treat the RSVP like a prescription note from a doctor. Anna & Tom really enjoyed the space for a note and wound up hanging on to the returned RSVPs. I pour my heart into every invitation design I do. I design from a very emotional place and put everything I’ve got into it. I hope it shows. Congrats to Anna & Tom! 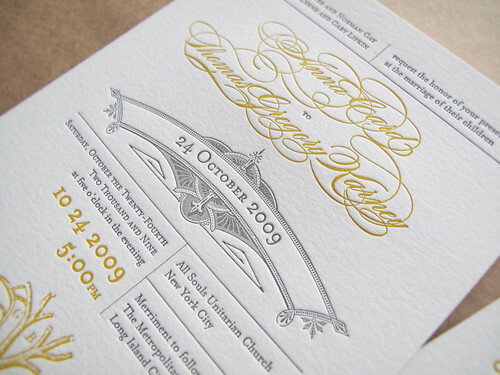 And if you are interested in invitations designs (wedding, birthday, birth announcements, etc.) contact me at JeremyandKathleen(at)gmail(dot)com for details.